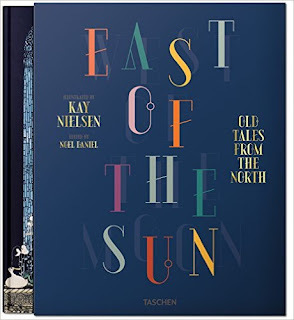 This is only peripherally related to Disney but I felt I needed to mention here this new version of Kay Nielsen's East of the Sun and West of the Moon, which has just been released by publisher Taschen and which made my day when I received it last week. 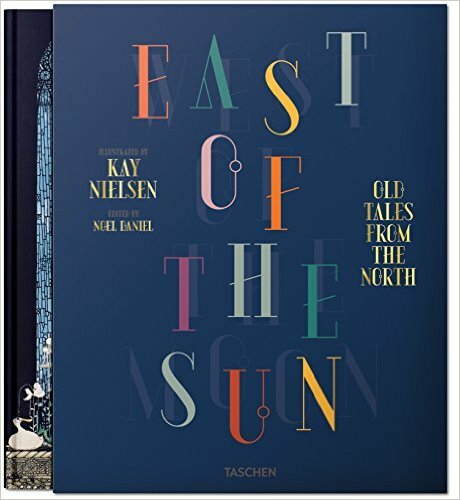 Not Disney, but a "must-have" for Nielsen enthusiasts. Of course, Nielsen will also be feature in They Drew As They Pleased - The Hidden Art of Disney's Musical Years which will be released in September 2016. 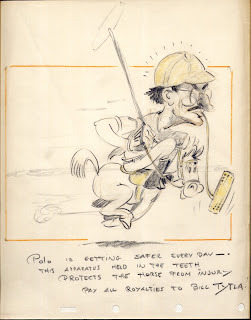 As a Xmas gift, Göran Broling sent me a scan of this wonderful caricature of Bill Tytla. Is there a better way to start your day? 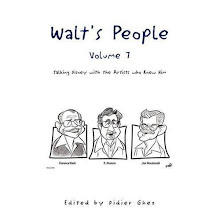 Walt's People - Volume 17 was released earlier today. Happy Holidays! 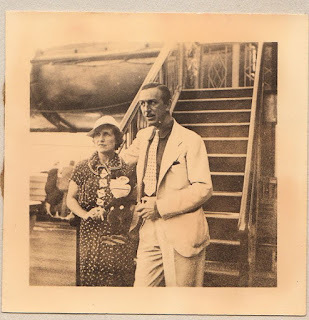 Three never-seen-before wonderful photos of Walt and Lillian coming back from Europe on the S.S. Rex in 1935 are currently being sold for a small fortune by Read 'Em Again Books. 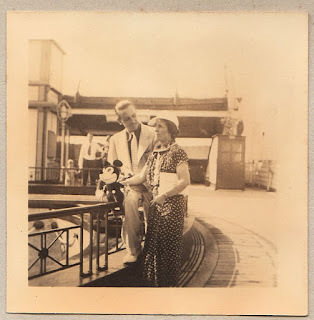 I loved to see them. 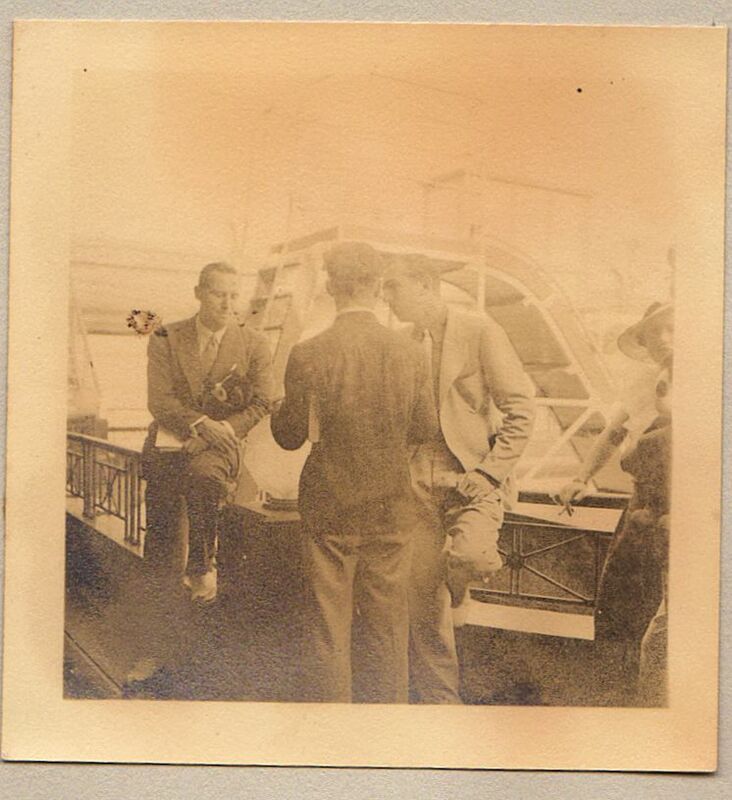 (Thanks to Greg Heberlein and David Lesjak for the heads up). 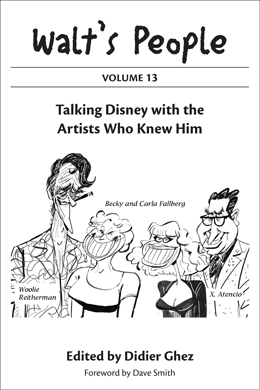 I just noticed (very late, I know) a great series of articles on CartoonResearch titled Baxter's Breakdowns which are well worth checking out. gives some answers, since most words here are spelled backward, but not everything is explained in the blog posting. After studying the pencil drawing, I “cracked” it. «Orsayday and his Orchestra», on the poster far right, is a spoof of “Tommy Dorsey and his Orchestra”, a popular big band in America at that time. I have not yet watched The Good Dinosaur. Unfortunately The Art of The Good Dinosaur did not inspire me to rush to the theater, even though I heard that the latest Pixar is quite a good movie. 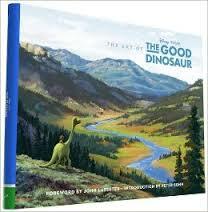 The Art of The Good Dinosaur is a beautifully produced book, as is always the case with Chronicle Books, but I can't manage to find the artwork interesting. To be totally honest, though, dinosaurs do not excite me much as potential animated characters and this book did nothing to change my mind. 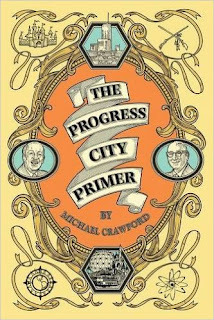 Of course, I have all of Chronicle "art of" books, so I was really glad to add this one to my bookshelves. 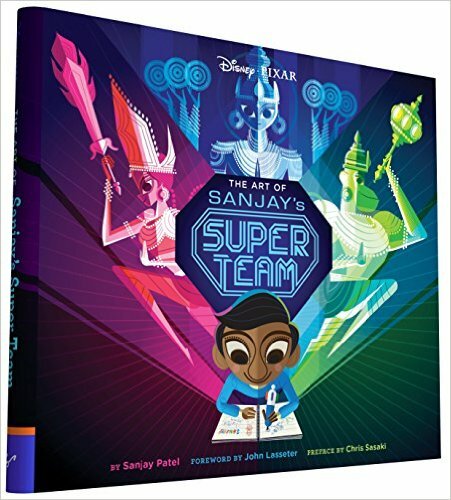 The Art of Sanjay's Super Team is the other one of the three Chronicle Books volumes that I received this week and that I thoroughly enjoyed. 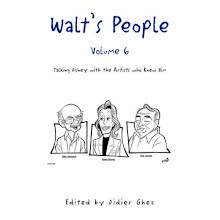 The sheer idea of producing a whole art-book about the making of a short is intriguing in itself. 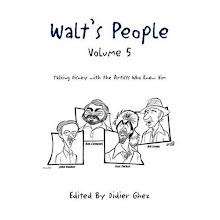 When one sees Sanjay Patel's artwork, though, one understands why the publisher could not help but embrace that odd idea. 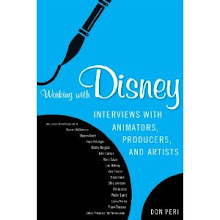 This book really put a big smile on my face, as did the one of Pixar's gag drawings which I mentioned yesterday. I have just received review copies of three new books from Chronicle Books. One of the two that I really love is Funny! 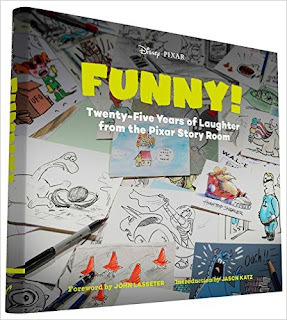 : Twenty-Five Years in the Pixar Story Room. 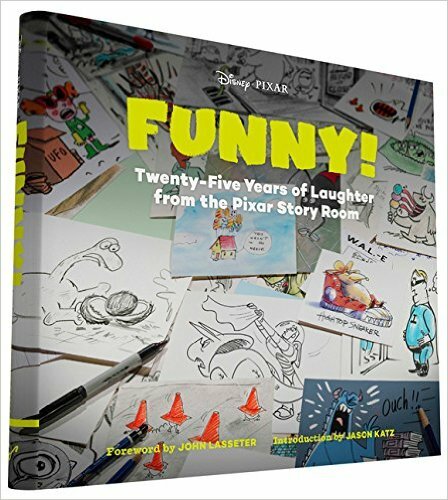 It is an unpretentious little book which collects some gag drawings and storyboard drawings created by the Pixar story team. 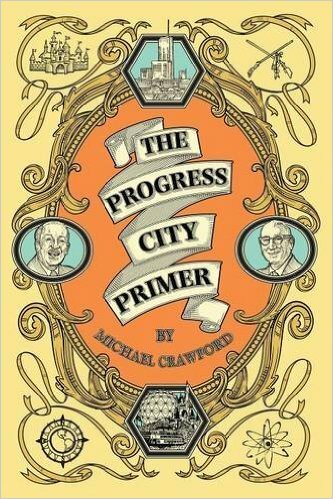 It is enjoyable from start to finish and is definitely a great gift for this Holiday Season. 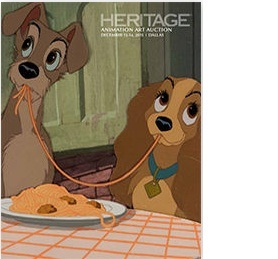 DALLAS – An outstanding hand-inked, hand-painted Lady and the Tramp Production Cel with Master Pan Background Setup (Walt Disney, 1955) is expected to prove why vintage Disney is still king when it comes to original animation art and possibly bring $35,000+ as the centerpiece of Heritage Auctions’ Dec. 13-14. 2015 Animation Art Signature® Auction. Another early Disney lot will inspire equal passion in the hearts of collectors as an extremely rare hand-inked, hand-painted black and white Mickey Mouse “Mickey's Man Friday/Monkey Melodies” Production Cel and Production Background Setup (Walt Disney, 1935/1930), a throwback to the earliest days of the Disney empire, is expected to bring $35,000+. As well. 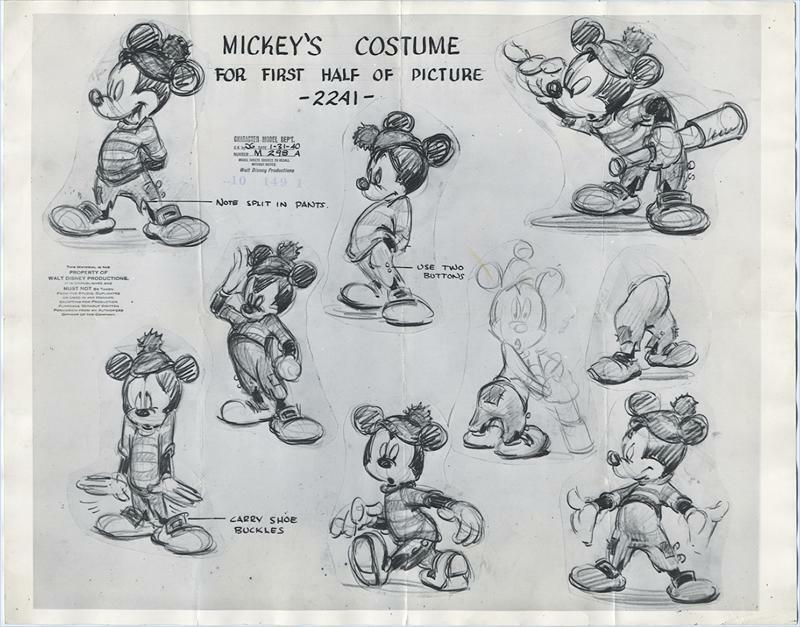 One of the finest black and white Mickey setups to show up at auction in recent memory, the (extremely rare) 12 field nitrate hand-inked, hand-painted black and white cel features a fantastic action shot of a full body Mickey from the Dave Hand directed theatrical short released on Jan. 5, 1935, one of Mickey's last B&W theatrical shorts. The background is from the 1930 black and white Silly Symphony short “Monkey Melodies,” released on Sept. 26, 1930. A modern classic offers a worthy rivalry to the Disney ascendency at the top of the auction as a Production Cel Setup from one of the most notable Simpsons Couch Gags (Fox, 1993), a hand-painted cel of the entire Simpson family from the “Rosebud” episode, the "Citizen Kane" parody that guest-starred The Ramones, is estimated at $25,000+. The opening credits to every episode of The Simpsons ends with a unique "Couch Gag" showing the family rushing to find their seats in front of the TV. This time, another "Simpsons" family has beaten them to it. The gag has since been used for syndicated reruns of the first five seasons. Collectors and animation fans going deeper into the auction will delight to find treasures from across all eras of animation available, including an extraordinary 1941 “Superman – Mad Scientist” original hand-painted production cel of the mad scientist’s buzzard assistant on a Key Master hand-painted production background of the lab – a cel from the very first Max Fleischer Superman cartoon (estimate $10,000+) along with a superb and rare Popeye and Wimpy Production Cel with Production Background (Max Fleischer, 1937) from the cartoon “Organ Grinders Swing” (estimate: $5,000+), an Alex Toth Challenge of the Super Friends Bumper Card Original Art and Episode Title Card Production Cel Group of 2 (Hanna-Barbera, 1978), sure to appeal to Gen-X collectors (estimate: $5,000+) and two superlative cels from Warner Brother’s 1957 classic “What’s Opera Doc,” one with Bugs Bunny as the comely Brünnhilde and the other with Elmer Fudd as Siegfried (estimate: $5,000+). Mickey Mouse Fantasia "The Sorcerer's Apprentice" Production Cel Courvoisier Setup and Framed Award Letter Group of 2 (Walt Disney, 1940): Mickey Mouse cels as the Sorcerer's Apprentice (his most famous role) are highly sought by collectors. 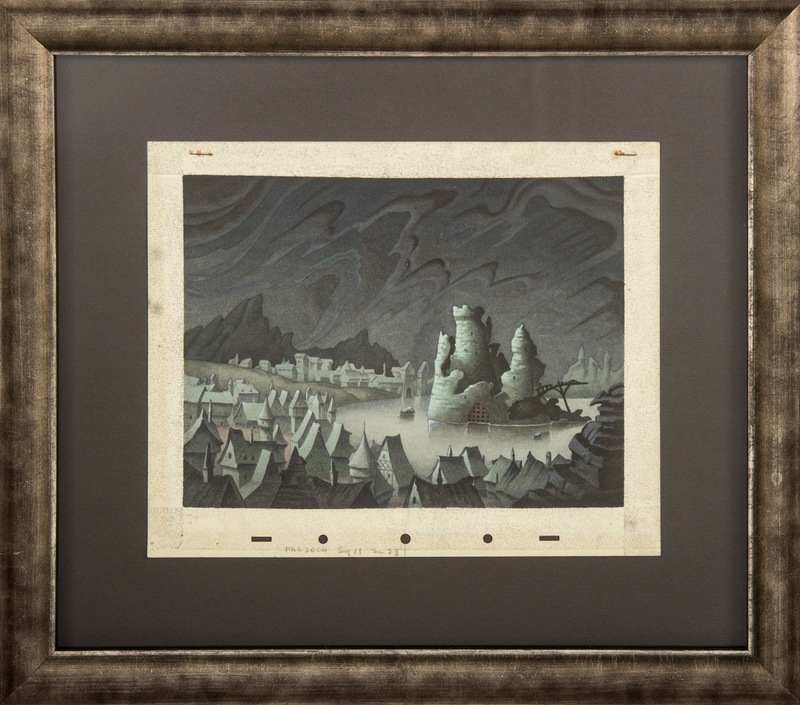 Best of all, this cel features an authentic Walt Disney signature – very hard to obtain! Estimate: $25,000+. 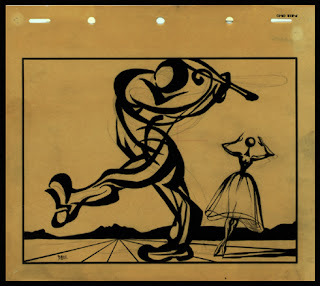 Mary Blair Peter Pan Peter Pan and Tinker Bell Concept Art (Walt Disney, 1953): A masterpiece from one of Disney’s greatest conceptual artists. Estimate: $15,000+. Eyvind Earle Sleeping Beauty Dragon Concept Painting (Walt Disney, 1959): Fantastic original concept/color key painting of Maleficent as a dragon from the dramatic finale of the film, painted by one of the greatest Disney artists of them all. Estimate: $11,000+. 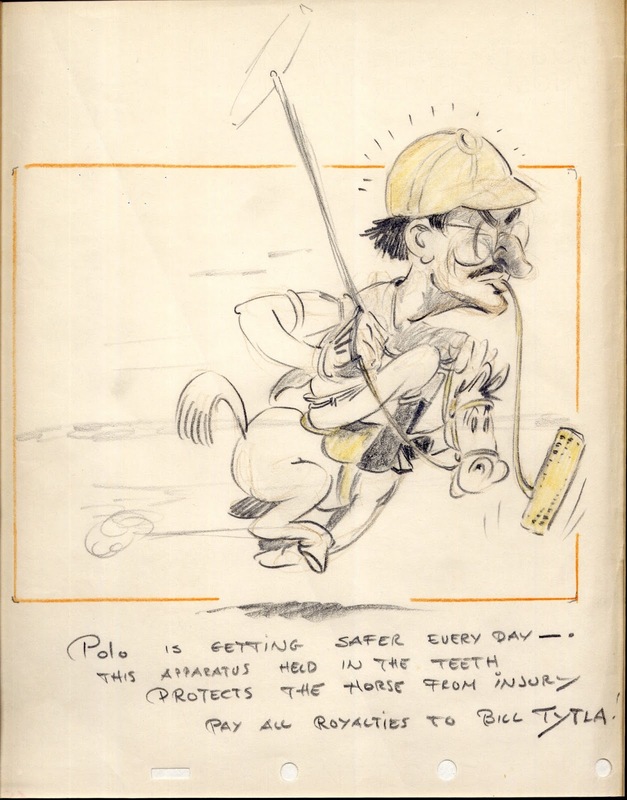 Snow White and the Seven Dwarfs Publicity Drawing by Fred Moore (Walt Disney, 1937): An original one-of-a-kind oversized publicity drawing of Snow White and all seven Dwarfs from the hand of Fred Moore, one of Disney’s original “Seven Old Men.” Estimate: $10,000+. 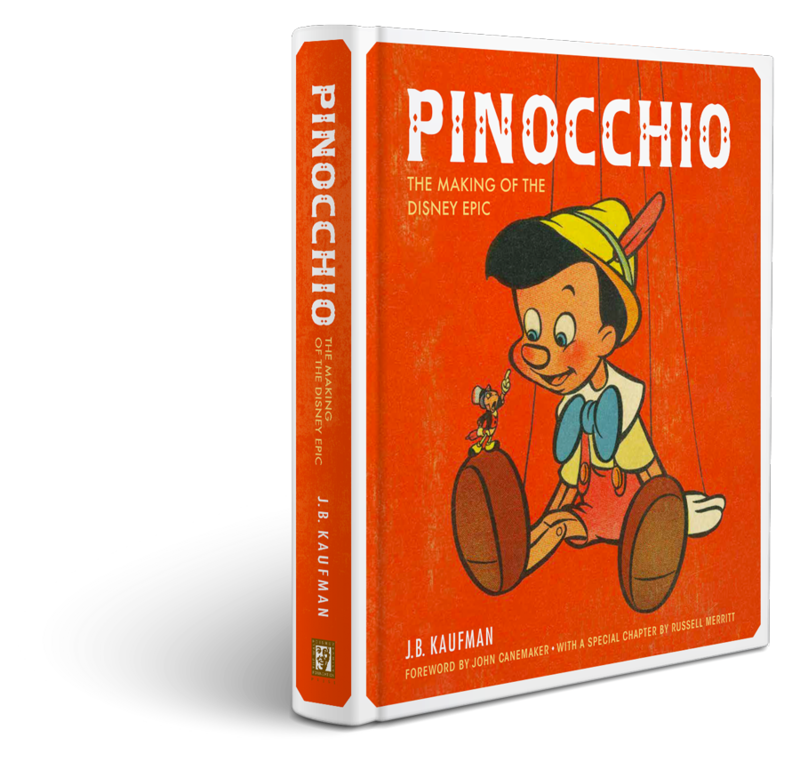 Pinocchio at Disneyland Pinocchio, Gepetto, and Figaro Animatronic Figures (Walt Disney, 1960s): A very rare chance to actually own a part of Disneyland, an original Pinocchio-themed animatronics display of Geppetto, Pinocchio, and Figaro the cat celebrating Pinocchio becoming a real boy! 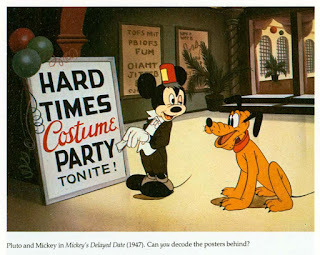 This was originally on display in a window on Main Street, in Disneyland. Estimate: $5,000+. 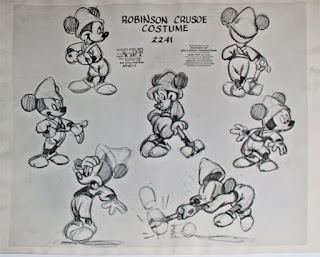 Steamboat Willie Mickey Mouse Animation Drawing (Walt Disney, 1928): A pair of 12 field 2-peghole animation drawings by Ub Iwerks of a “Full Figure” Mickey Mouse and Pete from this historic piece of cartoon history – Mickey’s very first sound-synced cartoon. 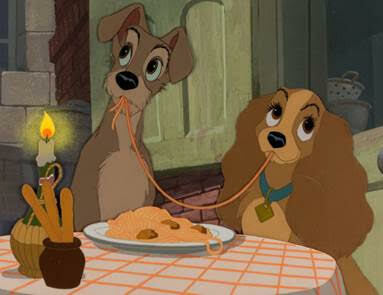 A true piece of animation history. Estimate: $5,000+. Two projects that I will try to study in more details in years to come are the two abandoned Mickey projects from the early 1940s: The planned color remake of Mickey's Man Friday and the Mickey feature: Happy Valley / Mickey and the Beanstalk. I found online recently those two model sheets from the first of these two projects and thought that you might enjoy them. 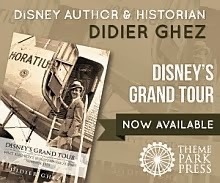 To say that this year has been oustanding when it comes to Disney history books would the understatement of the century. Considering the volume and the quality of the output, there is no way to create my usual top-5 list, so I will simply list here all the books released in 2015 which I consider as "must haves", in no particular order. 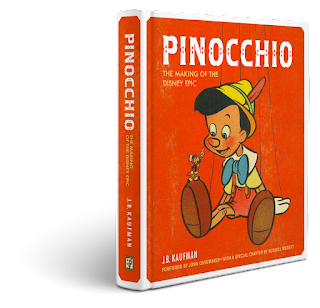 J.B. Kaufman: Pinocchio: The Disney Epic published by Walt Disney Family Foundation Press; 2015. Didier Ghez: They Drew As They Pleased - The Hidden Art of Disney's Golden Age published by Chronicle Books; 2015. Don Hahn and Tracey Miller-Zarneke: Before Ever After: The Lost Lectures of Walt Disney's Animation Studio published by Disney Editions; 2015. 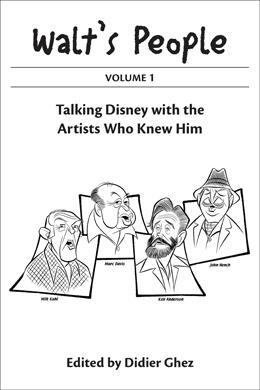 Andreas Deja: The Nine Old Men: Lessons, Techniques, and Inspiration from Disney's Great Animators published by Focal Press; 2015. 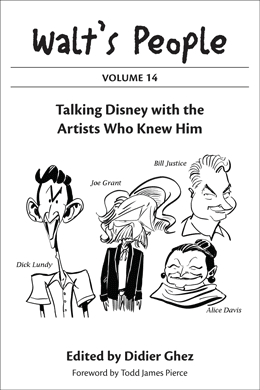 Dave Bossert: Dali & Disney: Destino: The Story, Artwork, and Friendship Behind the Legendary Film published by Disney Editions; 2015. 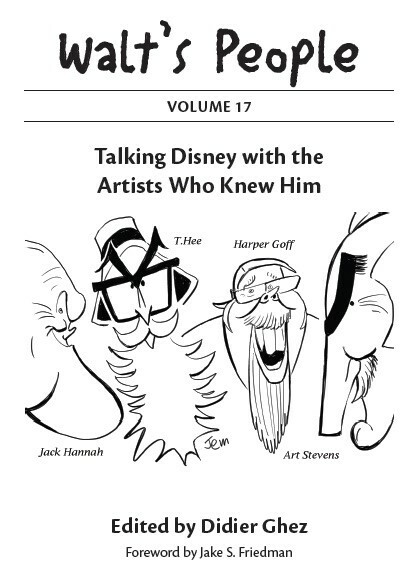 Garry Apgar: Mickey Mouse: Emblem of the American Spirit published by Walt Disney Family Foundation Press; 2015. 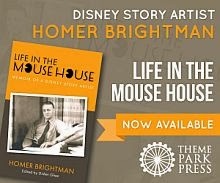 Eric Larson: 50 Years in the Mouse House published by Theme Park Press; 2015. 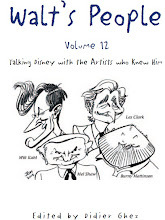 Pinto Colvig: It's a Crazy Business published by Theme Park Press; 2015. 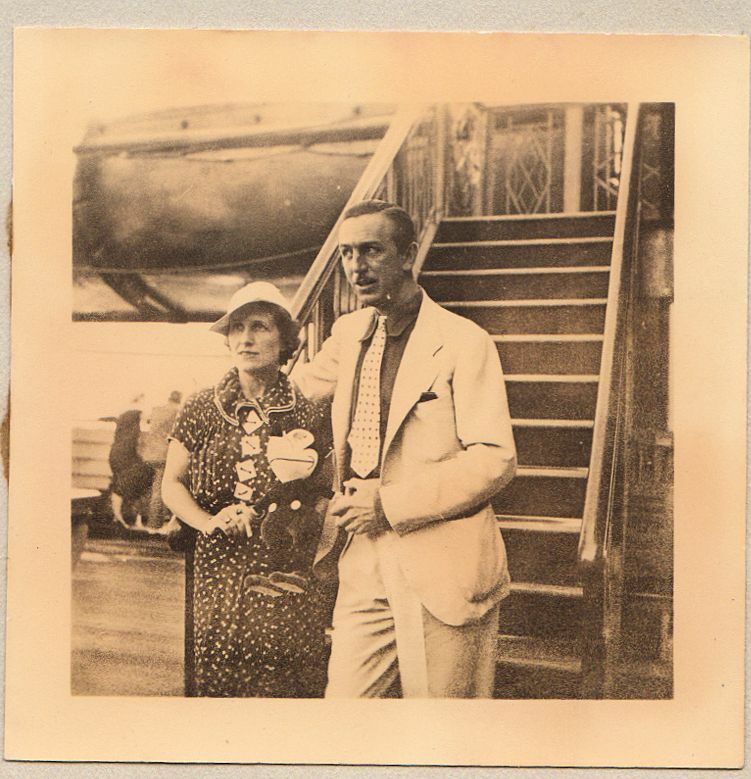 David Lesjak: In the Service of the Red Cross - Walt Disney's Early Adventures published by Theme Park Press; 2015. 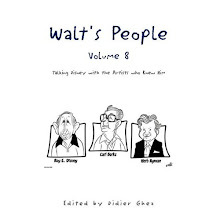 Didier Ghez: Walt's People - Volume 16 published by Theme Park Press; 2015. 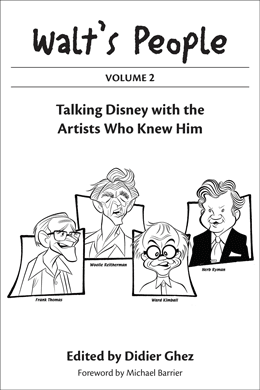 Jim Korkis: The Vault of Walt: Volume 4: Still More Unofficial Disney Stories Never Told published by Theme Park Press; 2015. 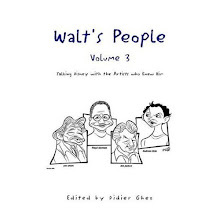 David Gerstein (editor): Walt Disney's Mickey Mouse Vol. 7: "March Of The Zombies" published by Fantagraphics; 2015. 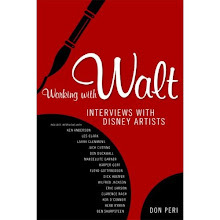 David Gerstein (editor): Walt Disney's Mickey Mouse Vol. 8: "The Tomorrow Wars" published by Fantagraphics; 2015. Profiles in History on December 10. Check out their catalogs. It is really worth it. Not sure what this book is worth, but some of you will want to know that it exists. 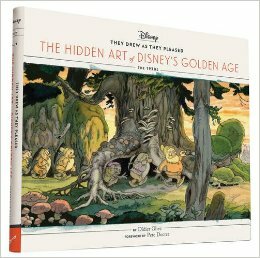 Many of you have asked how to get Signed and / or Personalized copies of They Drew As They Pleased - The Hidden Art of Disney's Golden Age. 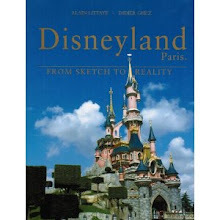 If you live in LA, contact Gallery Nucleus or Stuart Ng and you will be able to get signed copies. If you do not live in LA, contact Cathy at Books and Books in Coral Gables (Florida) at cathy@booksandbooks.com. She is the manager of a great bookstore situated very close to where I live. She still has a few signed copies, but more importantly, if you give her one or two weeks and request personalized copies she can get me to personalize them for you. And I believe they offer free postage to any place within the US.